My friend Sherry is conducting a Top 100 Hymns Survey. Sherry’s blog has a huge following because of her weekly Saturday Review of Books, a marketplace for book reviews. For her hymns survey, she is asking folks to email her their top ten favorite hymns of all time to her. Her guidelines are at the first link. Email with “Hymn Survey” in the subject to sherryDOTearlyATgmailDOTcom. Deadline is May 31st. If you have a hymnbook, this is a great exercise. Thumb through it, page by page, and make a list of your favorites. One of the casualties of “singing off the wall” (words projected onto a screen) is the hymnbook in the home. I’m such a dork, I took a hymnbook with me on my honeymoon. The two hymnbooks I use the most these days are Trinity Hymnal and Cantus Christi. If you like old hymns in minor keys (e.g. 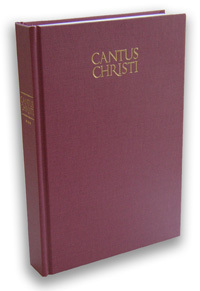 O Sacred Head Now Wounded) you will find more in Cantus than in any other hymnbook. They are not all dirges, oh no. Invariably when people visit our church, they comment on the singing. It is full-bodied, exuberant and, as it were, one voice. One of our women has a gorgeous and powerful voice; she said this is the first church where her voice didn’t stick out. I’m going to post my top 10. As I find time I will add more favorites in increments of ten. It is painful not mentioning other favorites. The names in SMALL CAPS are the hymn tunes. 1. Doxology OLD HUNDRETH In my opinion, this should be the first praise song every toddler learns. And perhaps the last song with the last breath of life. Our church sings this, a capella, at the end of every service. It’s a classic (shows up in Tom Sawyer, not that that matters ) which remains fresh and solid. 2. Come, Thou Fount of Every Blessing NETTLETON Did you know there are more verses than the three we normally sing? I so relate to the wandering heart theme in this hymn. 3. My Soul Now Bless Thy Maker (Psalm 103) NUN LOB, MEIN SEEL The truth is that many of my favorite hymns are based on Psalm 103. Unfortunately this one is obscure. How do I translate to you the joy and thrill it is to sing this? Almost every audio version I’ve found has a slow, dreary tempo when this is a vigorous and confident tune. So here’s the best combo I can find: Listen to this version (click on 519) after you’ve opened a window with the words. 4. Shout, for the Blessed Jesus Reigns TRURO I love TRURO like my friend Steph loves HYFRYDOL. We are kindred spirits in our hymn geekdom. Listen here. 5. Only Begotten, Word of God Eternal ISTE CONFESSOR There is a majesty and mystery in this ninth century hymn. I’m sorry for the gymnastics, but the tune is here and the words are here (pause the music that automatically starts). “Hallowed this dwelling where the Lord abideth, this is none other than the gates of heaven.” chills go up my arm. I’ve added to my list of songs for my funeral. The praise to the Trinity in the final verse makes hard lumps in my throat every time. 6. Jesus Shall Reign DUKE STREET Besides loving ancient hymns in minor keys I love triumphal anthems. Tune here and words here. I love to modulate up a half key on the last verse. I also love the idea of sitting during the first four verses and rising for the fifth verse: Let every creature rise and bring peculiar honors to our King. 7. O Sing A New Song to the Lord (Psalm 98) LYNGHAM / DESERT A family sings this here. The four parts weave in and out, making a tapestry of tones. To hear a room full singing this is glorious. True story: yesterday a group of five teenage boys were throwing a frisbee on the lawn belting this one in parts. 8. O the Deep, Deep Love of Jesus EBENEZER The music matches the words in this piece better than any other hymn I can think of. I hear the ocean currents. And no one (not even Selah [!]) does this piece better than Stephanie Seefeldt. Worth the price of the album A Little Less Than More. 9. Praise To the Lord, the Almighty LOBE DEN HERREN How oft in grief, hath not he brought thee relief? If you don’t know this hymn, please learn it. Every phrase is rich, solid, steady. 10. In Christ Alone Music and lyrics here. What is it about this modern day hymn that is so potent? The words speak to the core issues of life and death. It’s normal for me to choke up on this one. The music with its soaring intervals grabs me too. Combined it is powerful. Okay, it is your turn. Do you have a favorite hymn? Three you love? Favorite five? Top ten? Leave your answers in the comments. If you are so inclined send them on to Sherry. This entry was posted in Uncategorized and tagged music, worship by alivingpencil. Bookmark the permalink. I love it when you do this…. I read about Sherry’s challenge last week, but it seemed like too much work. How lazy of me! I should be ashamed of myself 😦 because I love singing hymns.Perhaps posting about one per week would help me accomplish my *list*. Right now I have to finish another chore before I allow myself to be distracted with that kind of treat. Oh, shoot! I have been purging ruthlessly, and just threw away a list my dad gave me of his favorites from the old Brethren hymnal. I could ask him again if you really want to know. In the past 6 mos. he has begun singing a hymn every morning to the Lord (in his study, alone–which is a good thing! He sings on key but really has a rather loud, grating voice. We have always teased him about it, because he can’t help himself, he sings w/ total gusto!). The first one that comes to my mind is “When I Survey the Wondrous Cross.” I agree ab/ our songs/hymns being projected on the screen (it’s a lost art that I grieve that my daughters were robbed of when they grew up), BUT there are several that really touch my heart that we sing at my church regularly. Carol you crack me up. We had a hymnal on our honeymoon too, and sang away the prairie miles as we crossed the Dakotas. I will have to try to come up with some lists for this… can I do top ten from each of my favorite hymnals? At Bev’s funeral today I had some spare time before the service began. I took the hymnal (not mine, but same Lutheran Service Book) and checked out what we would be singing. There was a new hymn, or at least one or ten that I come across every time I take the time to look. There are some great newer lyrics being written, too. 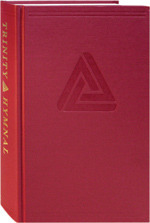 I’ll get my book and share some more with you.Hymnal are a great treasure. When this new one came out, we purchased one for each non-clergy child (the ‘clergyman’ had his own source 😉 ), as well as one for dh and I. Mine is the one that the puppy chewed a bit off the corner and the marker strings are knotted at the ends. I have written a new, more Confessional version of Jesus Loves Me in the front cover, sent by a friend. @Tanabu_Girl – Confessional version of Jesus Loves Me…..hmmm. Willing to share that one? I’d love to hear it. @wonderloveandpraise – you goof! You make me smile! @LimboLady – you didn’t throw away your father’s list of favorite hymns? Ouch! I can’t think about that one! (I’m giving you a hard time…)I would really like a copy of Hymns of Remembrance (the little black hymnal) because so many of those hymns which I grew up with aren’t to be found in other places. @hiddenart – Dana, Curt read this and when he read your comment he was proud of you for not getting distracted. Real proud, Dana! I’ll ask him if he has it. You’re saying you don’t have it? @LimboLady – Oh dear! I wasn’t at all asking for his copy. No, no, no. That was just a casual mention that someday I want to get my own. Whenever I’m back home I am reminded of it. I find I rend to rely on my group of favorites for all solo playing at church. I’d be very happy to play It Is Well With My Soul EVERY Sunday during Communion! That one heads my list! It Is Well With My Soul reminds me that He is in control, He holds my best interest and it is better than what I could ever choose for my self. He made me, He can do with me what He wishes, and what He wishes is perfect for me. How Great Thou Art, because I am in awe of His world! Oh Come All Ye Faithful, it shouldn’t be JUST for Christmas! We are faithful, we are joyful and triumphant, we need to come to Him in all things. Amazing Grace because it is amazing, I am not worthy. Because I am not worthy, that Grace is sweet. What a Friend We Have in Jesus, the best of best friends, plus it was one of my Mother’s favorites, that helps make it special. Same with In The Garden, when I am in His ‘garden’, I am in a good place! As The Deer, a modern one but it so describes how I want to seek Him, plus it’s beautiful to sign! There are many more, but may not be used so much in church such as most of the work from Handel’s Messiah, and Jesus Wept from the New England Triptych. Carol -I’ve been working on this post since 8.00 this morning – on and off – MOSTLY ON. Not a load of laundry has been done, not a box has been packed. What blessed distraction!!!!! !Stay tuned. It will be posted soon. And I think it might be more than 10. But I’ll try to discipline myself!!! K! It’s posted. I think I broke out in a sweat. :)Steph’s top 10 hymns… list inspired by Carol! I love On Eagle’s Wings. There are countless others. So often I wake with a hymn in my head and gratefully sing it out loudly for the rest of the day! Yes! I’ve sung How Great Thou Art twice in the last two weeks (after an absence of several months). On Eagle’s Wings is another good one!